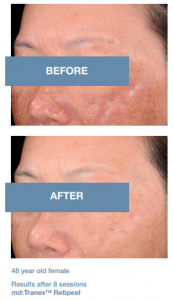 The treatment of hyperpigmented lesions, like melasma, is one of the biggest challenges to health care professionals and requires treatment with a number of chemical substances which are capable of blocking the formation of melanin, and smoothly exfoliating the skin. 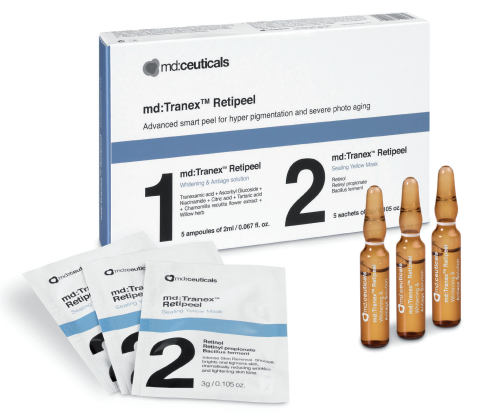 md:Tranex Retipeel is highly eﬀective in the removal of hyper-pigmentation, clearing acne-prone skin, erasing wrinkles and treating ageing skin that has a naturally slow cell turnover cycle. 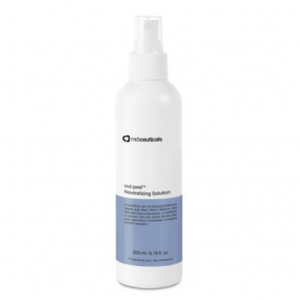 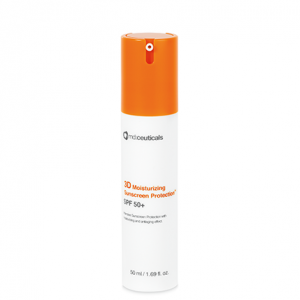 It effectively neutralizes free radicals, restoring skin brightness and protecting the skin from external damage. 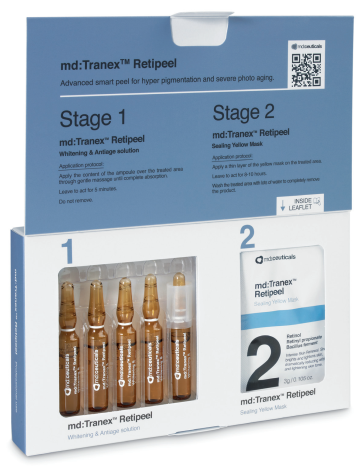 md:Tranex Retipeel works at a deep cellular level, influencing the action of receptors and sensors. 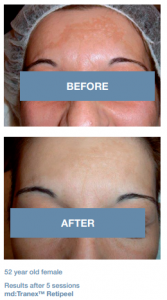 Removes age spots, sun damage and hyperpigmentation. 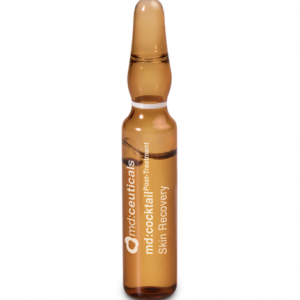 Firming and increasing hydration levels. 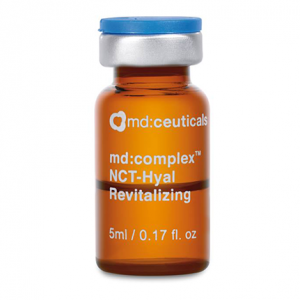 Combats signs of aging, softening the appearance of wrinkles, lines and enlarged pores. 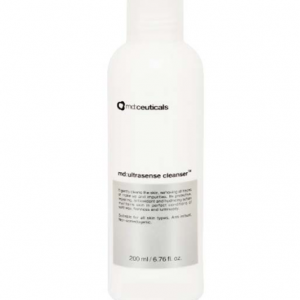 Manages acne-prone skin and oily skin complexion. 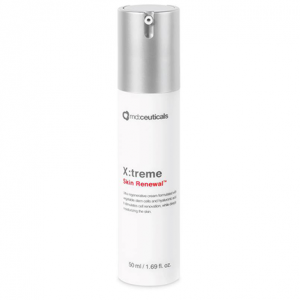 Counteracts dullness and loss of a healthy skin glow. 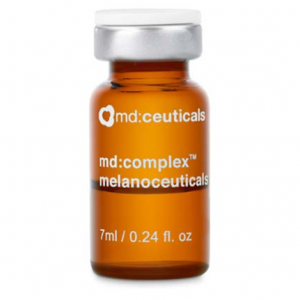 Interrupts the free-radical damage process that causes the skin to look older. 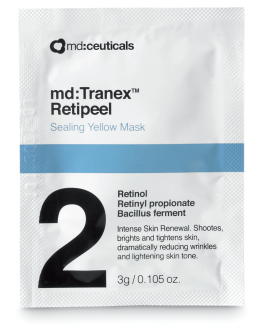 Brightens, soothes and evens the skin tone. 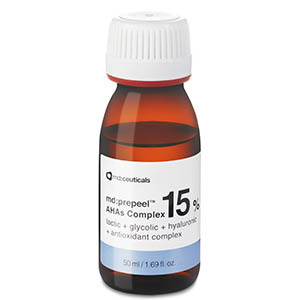 COMPOSITION: Tranexamic acid +Retinol + Retinyl proprionate + Ascorby Glucoside + Niacinamide + Citric acid + Tartaric acid + Chamomilla recutita flower + Willow herb + Bacillus Ferment.